The atmosphere was tense but calm, the nerves were spiraling but under control and the country was on tenterhooks but optimistic. 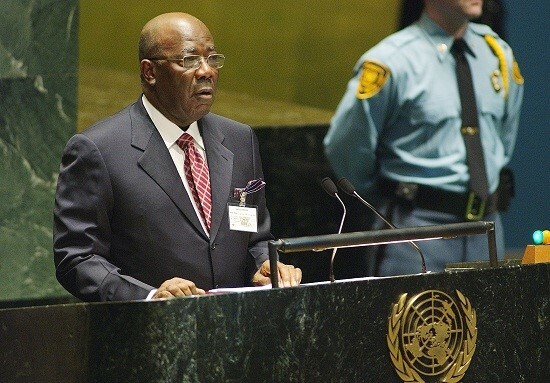 It was late in 1998 when Sierra Leone was engulfed in a fragile disarmament process. 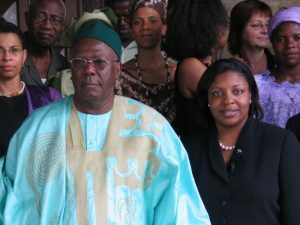 The three leaders, Rtd Major Johnny Paul of the Armed Forces Revolutionary Council, Coporal Foday Sankoh of the Revolutionary United Front and Ahmad Tejan Kabbah of the democratically elected government of Sierra Leone had planned to meet at the presidential lodge at Hill Station to complete the final phase of the disarmament process. The meeting was scheduled to start at 10:00 a.m. As custom demands, all dignitaries were expected to be at the lodge before the stipulated time. The United Nations Envoy, Oluyemi Adeniji and Johnny Paul of the AFRC respectively arrived few minutes before the start of the meeting. The host, president Kabbah thanked all those present for the meeting and prayed that the meeting will be fruitful. The time was 10:00 a.m and Foday Sankoh of the RUF was conspicuously late for the meeting. After twenty minutes, dignitaries started shifting in the seats, looking over their shoulders for Foday Sankoh. President Kabbah smiled cheerfully and admonished all present to wait for the leader of the RUF. To cut it short, Foday Sankoh arrived an hour late for the meeting . The UN Envoy was furious and threatened to match his words with Foday Sankoh. Pa Kabbah sat in his chair and welcomed Foday Sankoh to the anger of all those at the meeting. Instead of Pa Kabbah lambasting Foday Sankoh for his lack of punctuality, he thanked Foday Sankoh and Johnny Paul for attending the meeting and informed them of their position in the history of the country. At the end of the meeting, the UN Enjoy walked up to Pa Kabbah and expressed his frustration at the manner he treats Foday Sankoh. In return, Pa Kabbah smiled and uttered these words,” Adeniji, generations yet unborn are watching my actions, the whole country’s fate is on my lap and I should treat the worst devil with caution and patience”….. Pa Kabbah’s anger was hardly felt towards people. He deviated from the aroma of power that subsumes some people, he never used his position to intimidate people or opponents. Pa Kabbah did away with pomp and pageantry. He was cool and he changed the face of the presidency forever. Many suggests Kabbah’s serious demeanor and formal interaction with the Sierra Leonean people was inappropriate and even downright offensive. 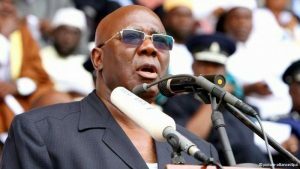 Sierra Leoneans perceived his unpredictable deportment, humorous candor and outright honesty as a breath of fresh air in the politics of Sierra Leone. Inspite of the fact that he is a politician and the president of the country, there was something about him that was real and relatable. In almost all his two terms of his presidency, he never lost sight of the fact that he bleeds red for the country, just like everyone else. Unlike presidents in Africa who seek popularity as their yardstick, Pa Kabbah snubbed praise singers, sycophants and idiots. He was a different politician in his political class. Pa Kabbah was for peace and peace he sought. During his presidency, Pa Kabbah successfully ended the war and close to finally putting an end to the internal wrangling in the opposition party, APC. At an informal meeting, a reporter asked about Pa Kabbah’s interest in resolving the debacle that gripped the APC, he responded by stating that, it is always good for a country to have a strong opposition. Not many politicians think in this manner. Even when Pa Kabbah retired from politics, he never condemned, criticized nor contributed towards the national discourse about leaving the kitty empty. Pa kabbah never allowed his popularity to sway his mind from national politics. Unlike other presidents who would have amended areas in the constitution to suit his political ambition, he allowed his tenure to end honorably with no hidden intention to twit the constitution. As a matter of fact, he was still popular even after his days in politics. Most pundits ascribed to the fact, had Kabbah wanted to change aspects in the constitution to extend his stay in politics, he would have succeeded as he had the majority in parliament and most Sierra Leoneans were sympathetic to the interregnum that bedeviled his presidency. In recent times, some presidents in some African countries have embarked on massive unpatriotic journeys just to reclaim popularity. The continent is awash with some presidents engulfed in building mansions, appointing incompetent and delusional officials into public offices just to satisfy their political base. The politicians tend to forget about their manifestos, rather, embark on personal aggrandizement. Pa Kabbah died an honorable citizen with no transitional report accusing him of being corrupt. Infact, most people closer to Kabbah speaks of his stinginess with national coffers. To my beloved country, Sierra Leone and her presidents, legacies speak for leaders who are gone. A president who thinks he is destined to rule for a fixed term should always focus on leaving a legacy for generations yet unborn. The presidency of Ernest Koroma of the APC and his legacy will be judged by historians. Maada Bio of the SLPP is the new kid on the block and his presidency will be determined by the policies he undertakes to save a country. Legacies speak louder than being popular.